This is one of those recipes that I wouldn’t even bother to try if I hadn’t tasted it first. Now, by no means am I a baking snob. Trust me – I’ll whip up a batch of boxed cake mix cookies and love every last bite of those cookies like nobody’s business. It’s just one of those recipes that doesn’t sound right on paper. One glance at the ingredients and you’ll know this Chocolate Chip Graham Cracker Bar is probably unlike anything you’ve baked before. I discovered this cookie bar a few years back at a church bazaar. It is a beautiful church in an “iffy” section of a nearby city. I visited their monthly bazaar as often as I could. I would always leave thriftily happy with a bagful of random stuff – antiques, kitchen gadgets, decorative glass, toys, books – all for a few dollars. At the checkout area they had a table with coffee and loaded with homemade baked goods. Everything was always so delicious – these little old ladies could get their bake on! This cookie bar was on that table. The baker of that cookie bar was behind that table and was beaming with joy from our compliments. She was proud of the simplicity of her recipe and happy to share it. As for this recipe – it doesn’t get much simpler. Mix ingredients and bake. This is a great recipe to let the kiddos mix up for you! Also good for sampling / snacking on the “raw cookie dough”. 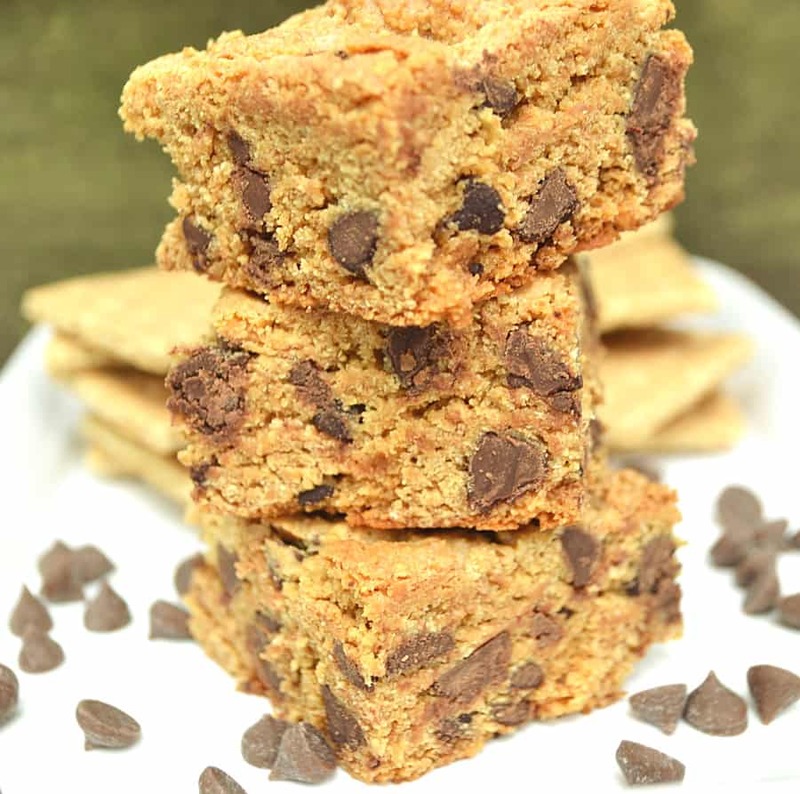 One dirty bowl and half an hour later – you got yourself these Chewy Chocolate Chip Graham Cracker Bars. Wait for them to cool and devour. Or don’t wait and devour them warm. Either way – they’re totally delicious. 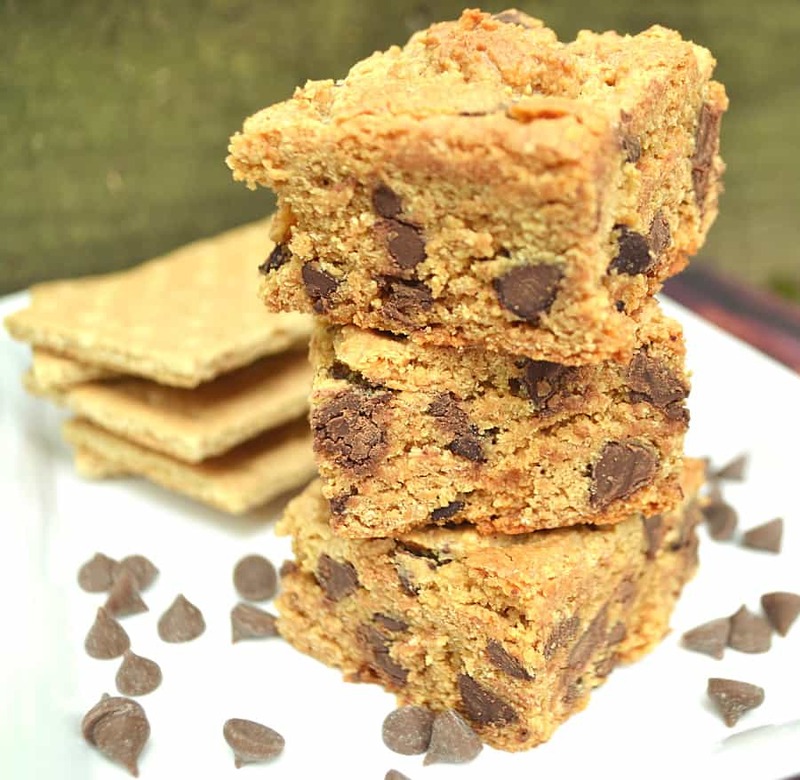 I can’t wait to hear what everyone thinks of these Chocolate Chip Graham Cracker Bars! Thanks so much for stopping by! Happy Baking! 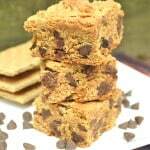 A chewy, different & delicious cookie bar made with graham cracker crumbs. Quick to make with only 6 ingredients. Kid friendly baking! Preheat oven to 350°. Spray / grease a 8" square baking dish. In a large mixing bowl, whisk together graham cracker crumbs, baking powder and salt. Add sweetened condensed milk, vanilla extract and chocolate chips. Stir until combined with no more dry patches. Batter will be thick. Spoon batter into baking dish and evenly spread out. Bake for 25-30 minutes or until top starts to turn a light golden brown. These sound like they would be simple to make. I was surprised at the short list of ingredients. They look super delicious. I really need to try them! just made these. they are wonderful, and so easy to make.One bowl,no mixer. We aren’t so called bar desert people, thought the grandkids would like. Sorry they will never tadte this batch. I skipped nuts and coconut,not favorites in our home. These bars are worth making . 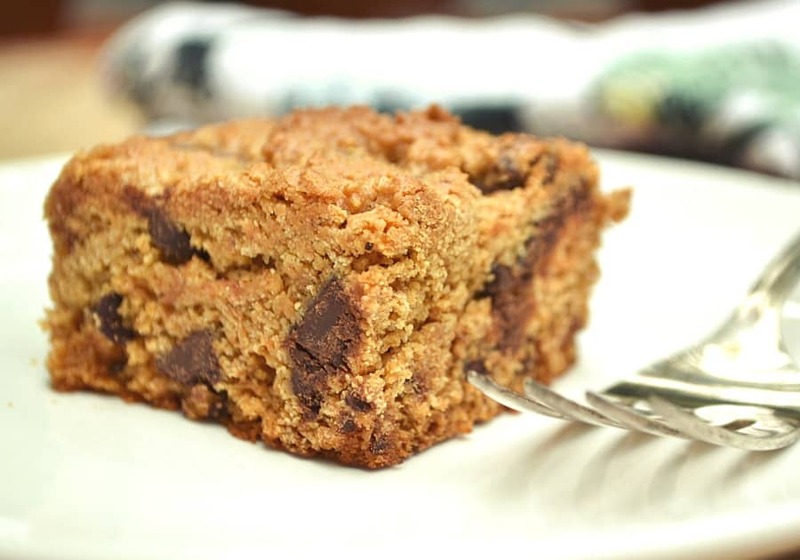 Wonderful – I’m so glad you enjoyed these Cookie Bars, Darla! Wondering how long these can be stored before eating? Thank you for this recipe! It’s delicious and so easy. I doubled the recipe, used butterscotch chips and greased & floured my a 9×13 pan. It doubled beautifully! Great recipe! My mother made these for us, and I still do for myself-delicious!